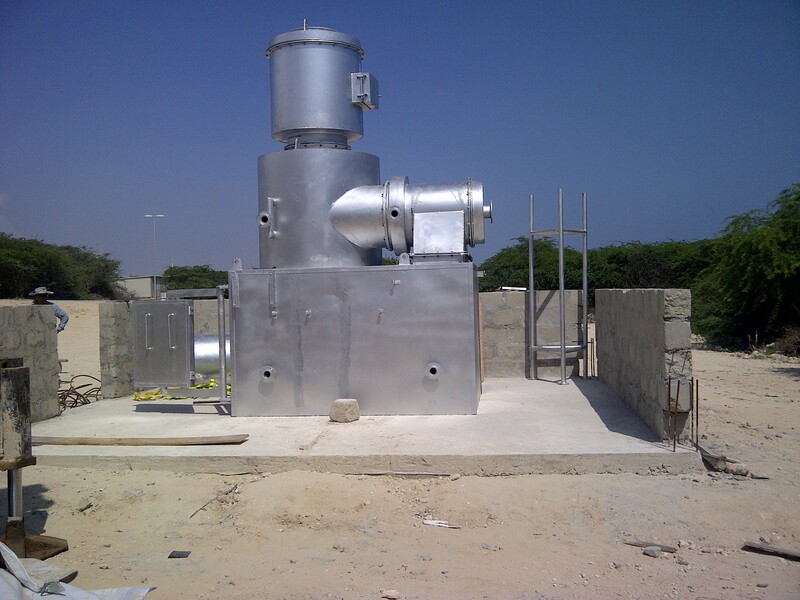 double chamber incinerator designed for completed combustion for waste, the first(primary) combustion chamber burn the waste directly by oil or gas burner. the secondary combustion chamber burn the smoke from the first(primary) combustion chamber. high temperature combustion will completed destroy waste and made the smoke cleaner. double chamber incinerator fit with two burner in each chamber, but for some large incinerator, we made two or three burner for the first(primary) combustion chamber, this will made the waste burn more completed and also made high burning rate.